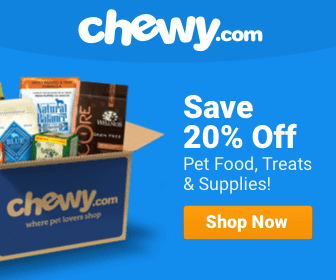 We’ve said it before, and we’ll say it again: you’ll never see as much gratitude as you do in a rescue animal. 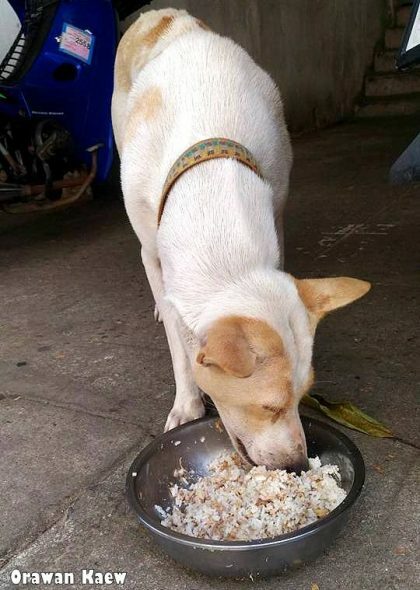 A street dog in Thailand doesn’t have much to offer, but always brings a leaf to give to the woman who feeds him and the other street dogs. 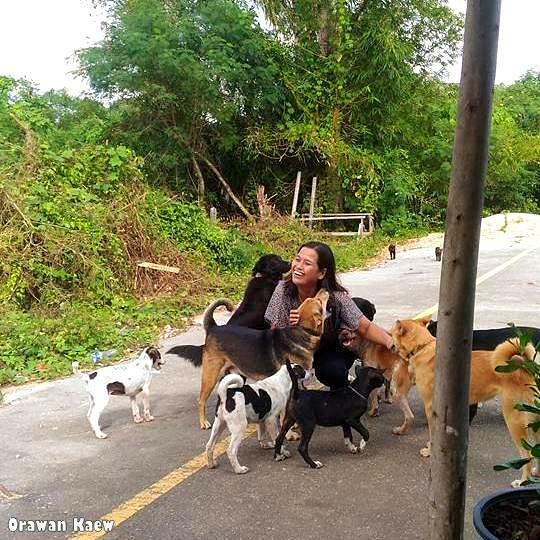 Orawan Kaew likes to care for the needy street dogs near her home in Krabi, and one of them, Tua Plu, likes to repay her kindness with whatever he can offer. “When he’s hungry, he will offer something to get fed. Every day he shows up with an object in his mouth — usually a leaf and sometimes a piece of paper. 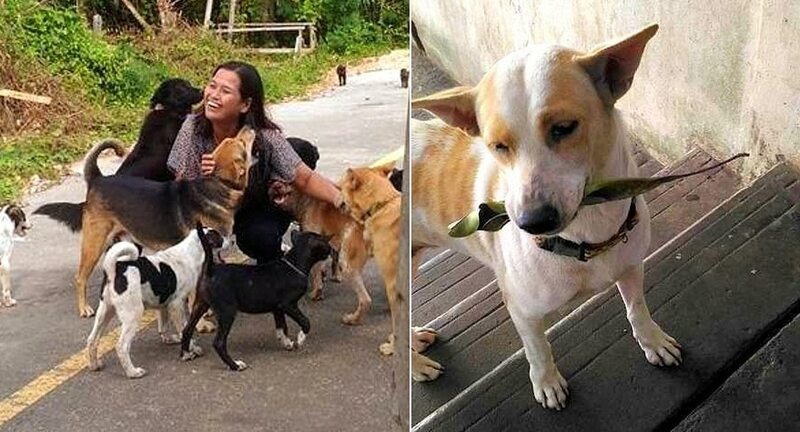 Before you feed other dogs, you have to feed Tua Plu and his mom,” she wrote on Facebook, as translated by Coconuts Bangkok. 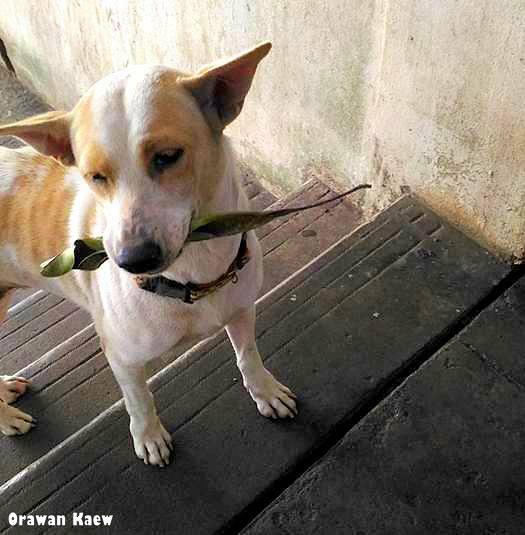 Orawan put a collar on Tua Plu (meaning “winged bean”) to keep him safe from people who brutalize street dogs. The animal lover will be moving soon, and worried that no one would take over to feed him and the others, but some people have offered to adopt him (hopefully mama, too)! She hopes that her story will inspire people to treat animals with kindness and to give street dogs the homes and love they need.